Lack of attention in children is a common problem, but “attention” is a tricky word because it does not refer to just one aspect of your child’s behavior. It may refer to an ability to complete a complex task, the presence (or absence) of some form of automaticity in the ability to perform tasks, an ability to resist distractions, working memory capacity problems, divided attention, and so on. While your child’s lack of attention may point to learning difficulties such as ADHD, in reality, a very low proportion of preschoolers suffer from this disorder. Children with ADHD have great difficulties in paying attention, are very hyperactive and have trouble expressing themselves, often because of their inability to manage strong emotions. 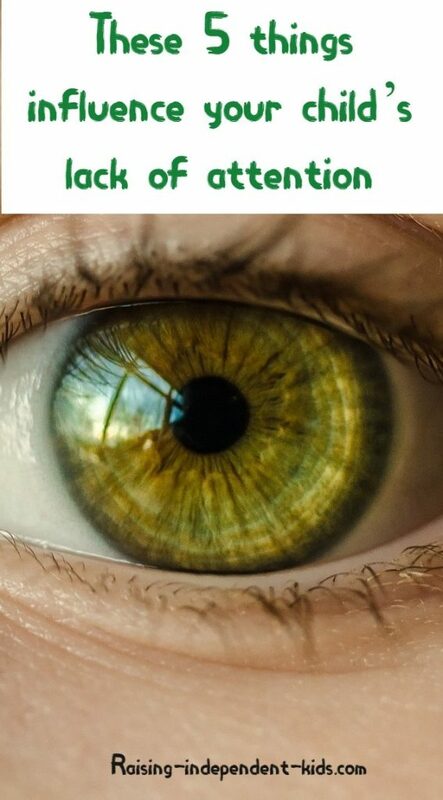 What influences your child’s lack of attention? It is human nature to focus on the things we are preoccupied with and your child is no different. If he is struggling with difficult emotions such as anxiety, he is more likely to appear distracted and inattentive because his focus will be on that anxiety or the anxiety-provoking situation. For instance, your child’s anxiety about his inability to read as well as his classmates may be reflected in behavior such as inattentiveness. Difficult emotions diminish your child’s performance, and it is therefore important to help him learn to manage his emotions effectively. No consensus has emerged on the best time-of-day for attention, nor on the days that kids are least attentive. While there have been suggestions that material learned in the morning is remembered better in the short term (short-term memory), and material learned in the afternoon in the long term, other studies have found that kids need greater motivation in the afternoon, or that certain children, for instance gifted children or those who have certain difficulties, are more focused in the afternoon. Generally speaking, your child is more likely to be most attentive toward the end of the morning and in the middle of the afternoon, but it is important to respond to individual needs and to try out different activities at different times of the day to identify what works best for him. He is also likely to be less concentrated on Monday mornings because of the weekend rhythm, and on Fridays because of accumulated fatigue. Your child’s ability to focus and concentrate can be affected by her physical or psychological state. Lack of focus can point to disorders such as ADHD or psychological disorders that affect her ability to concentrate on a given task. Poor sleeping habits can also affect your child’s ability to focus. The more developed your child’s cognitive capacities, the easier it will be for him to remain focused on activities. Cognitive development is associated with the development of skills such as language acquisition, the ability to remember things, and problem-solving skills. Remember that there are easy ways to develop your child’s cognitive skills at home. 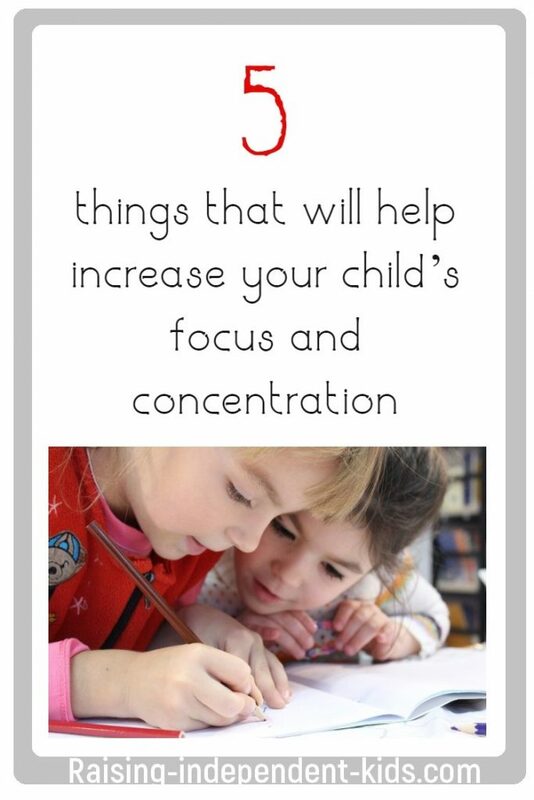 It can be difficult to cope with your child’s lack of concentration. The good news is that it is possible to increase her focus and concentration, and this has been proven scientifically. Here are five things you can start doing today to help increase your child’s attention. The research on focus and concentration in children has found inconclusive results. Some children concentrate better in the morning, some are more focused in the afternoon. Different children’s concentration on specific tasks can vary depending on whether the task is proposed in the morning or in the afternoon. Some children are able to concentrate on tasks processed by different resources (for example read and listen to music at the same time), others are not. The first thing is to understand what works for your child. Some children require background noise to be able to focus, others require absolute calm. Observing your child to find out when he enjoys doing certain activities and under what circumstances (calm, soft music…) can help increase his concentration. One of the most common reasons behind children’s lack of focus is their inability to clearly determine what they are expected to do. If your child is unsure about the set objectives, she may find it difficult to identify the steps that will lead her to achieve those objectives and is more likely to lose concentration. Reducing distractions can also help your child focus on what she is expected to do. For instance, a clear desk or avoiding asking her to do her homework in front of the TV can help her focus better. 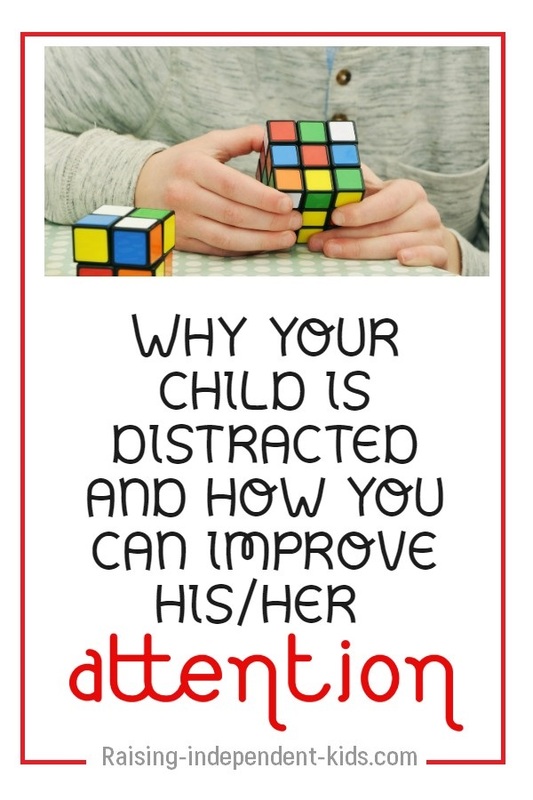 • Helping your child develop his selective attention. • Focusing on teaching your child to learn to ignore distractions in order to reach set objectives. Concentration exercises have been found to have an impact on children’s ability to concentrate on school-related activities. 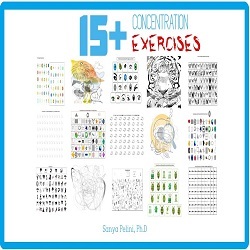 Resources such as the concentration kit propose several activities to help your child work on his focus and concentration. Punishing your child for inattention is unlikely to lead to the results you want. Similarly, telling him “you have to concentrate” is unlikely to work. The most effective strategy is to find what works for him – morning? Afternoon? Which tasks, when? Calm? Background music? – then to help him clearly identify what he is expected to do and the specific steps he will take to reach his objective. Mindfulness exercises have been proven to help increase children’s focus and attention. Several studies have found that, by helping individuals focus on the present moment, these exercises have a positive impact on overall focus and concentration. They have also been proven to reduce anxiety and to have a positive impact on overall child behavior. But mindfulness is not an easy practice to implement for children who generally have a hard time keeping still. The good news is that there are relatively easy mindfulness exercises you can start doing with your child from today. If you’ve enjoyed this post, subscribe below to receive posts like these directly in your inbox 2 – 4 times/month.